F or this years Superyacht charities ball, we were asked to design a new range for German watch makers Mortiz Grossmann. 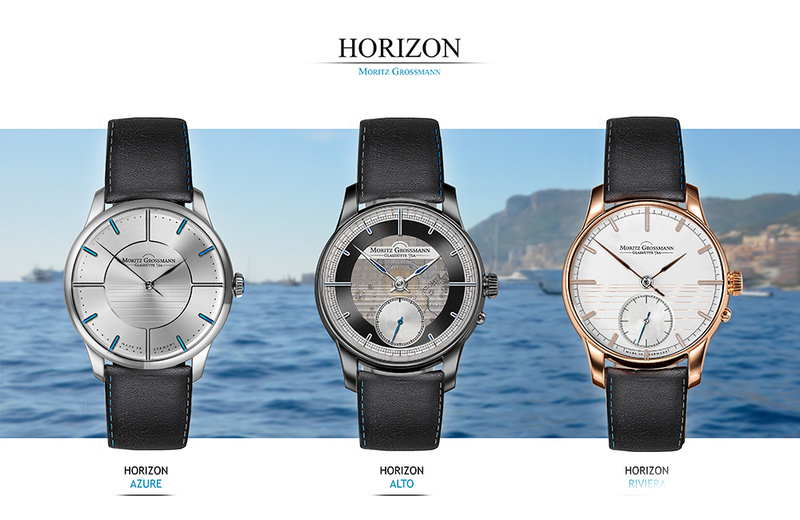 Working to the brief we have designed a set of three time pieces to reflect the superyacht industry. MORITZ GROSSMANN GLASHÜTTE I/SA, the Glashütte-based German luxury watch brand, is to produce a limited edition range of watches aimed at the superyacht community.Three British superyacht design houses – ThirtyC Design, Dixon Yacht Design and Tony Castro Design – have put their innovative spin on three watches from Moritz Grossmann’s existing line. The three different treatments are to be presented to 500 guests at the Superyacht Charities Annual Ball on April 1st. Creating a range that would tie together, as well as stay close to the Moritz Grossmann family was one key aim to our designs. The main theme behind each design is destination, as this links both motor and sail in the superyacht world. Each watch reflects an emotive link with a style of destination, while combining quality materials and design associated within this superyacht lifestyle. “Horizon” the range name that links all three together. The horizon when at sea is always the constant, the constant that will take you to the next destination.